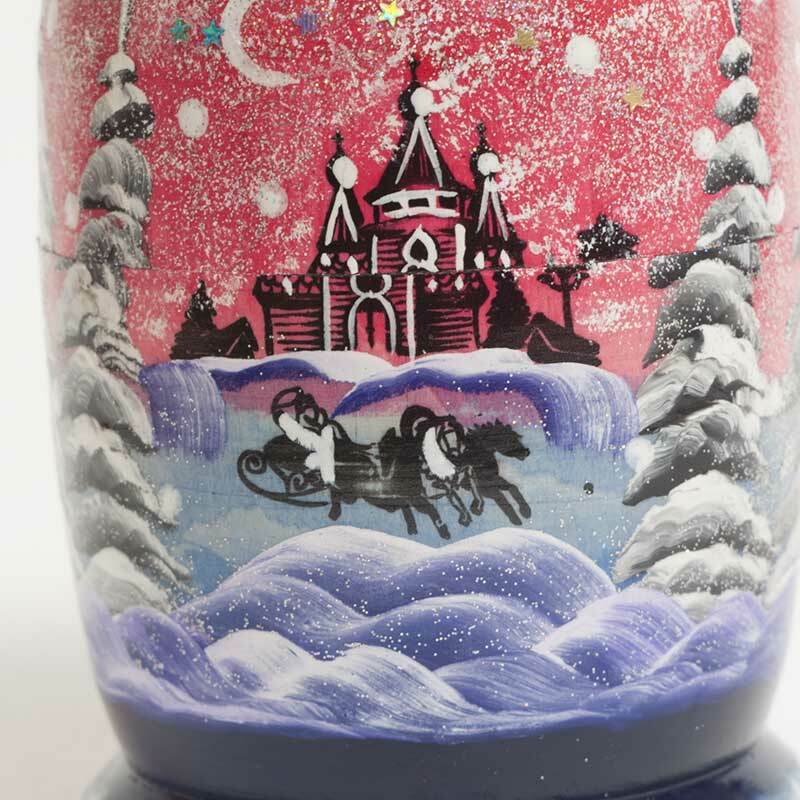 Pink Matryoshka Russian Winter Night is a hand-painted nesting doll painted is in Sergiev Posad style. 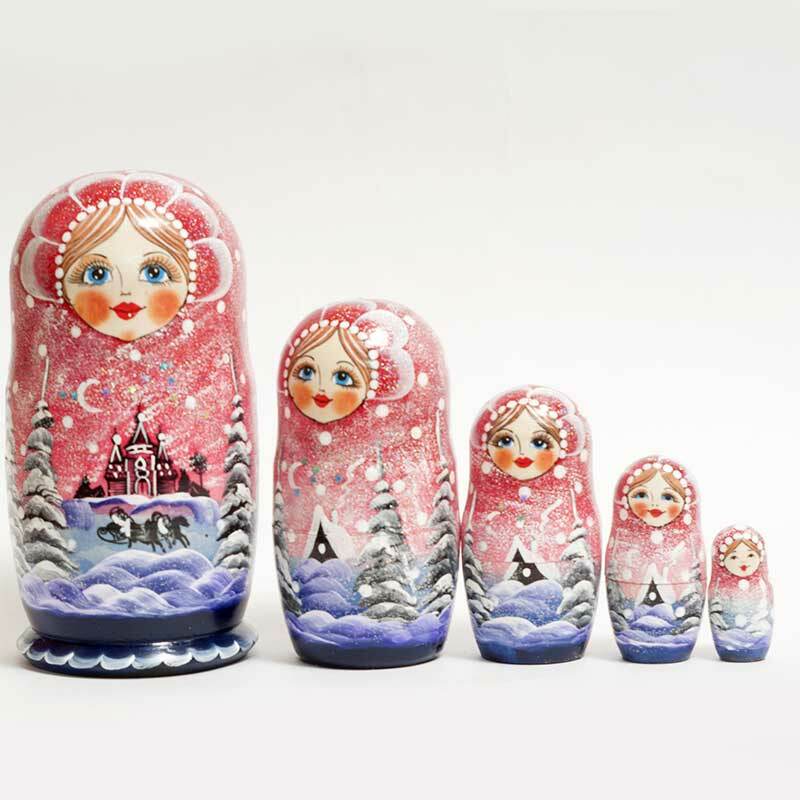 The nesting doll describes Russian winter night. 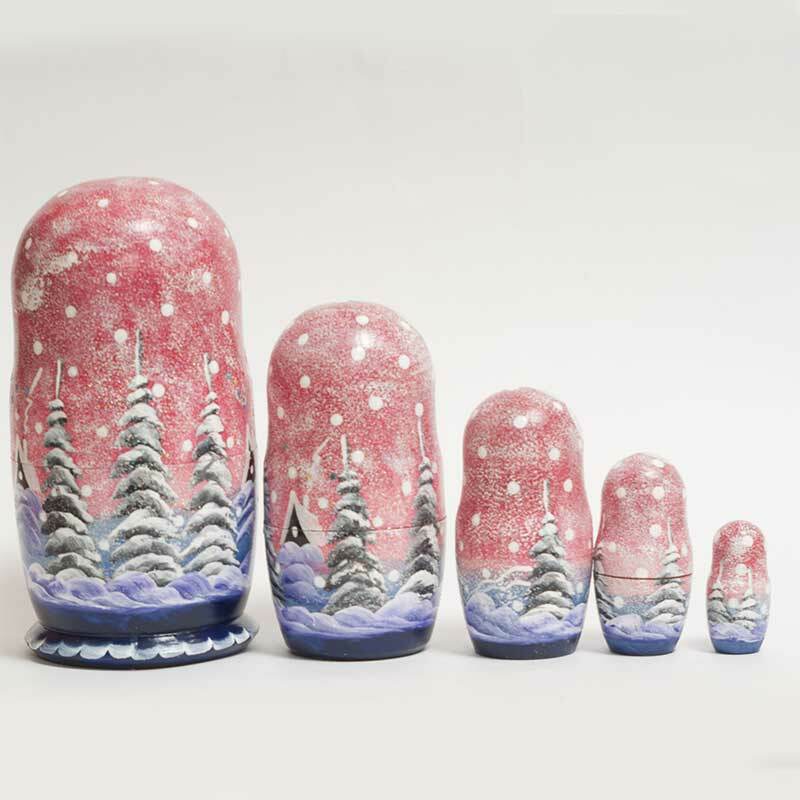 The nesting doll is painted all around and has Christmas time spirit. 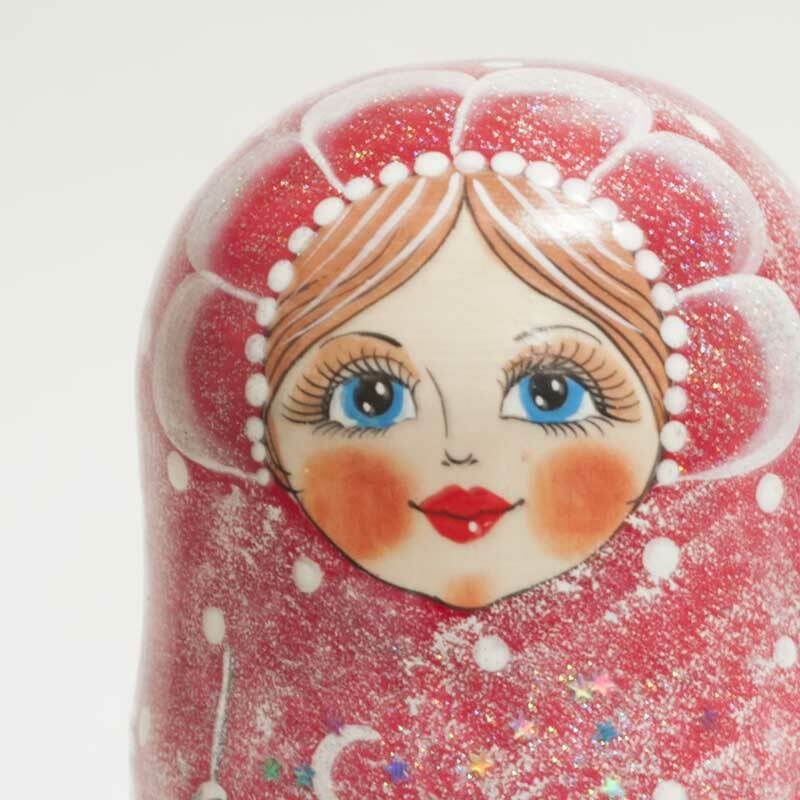 The matryoshka doll is painted with non-toxic tempera paints. 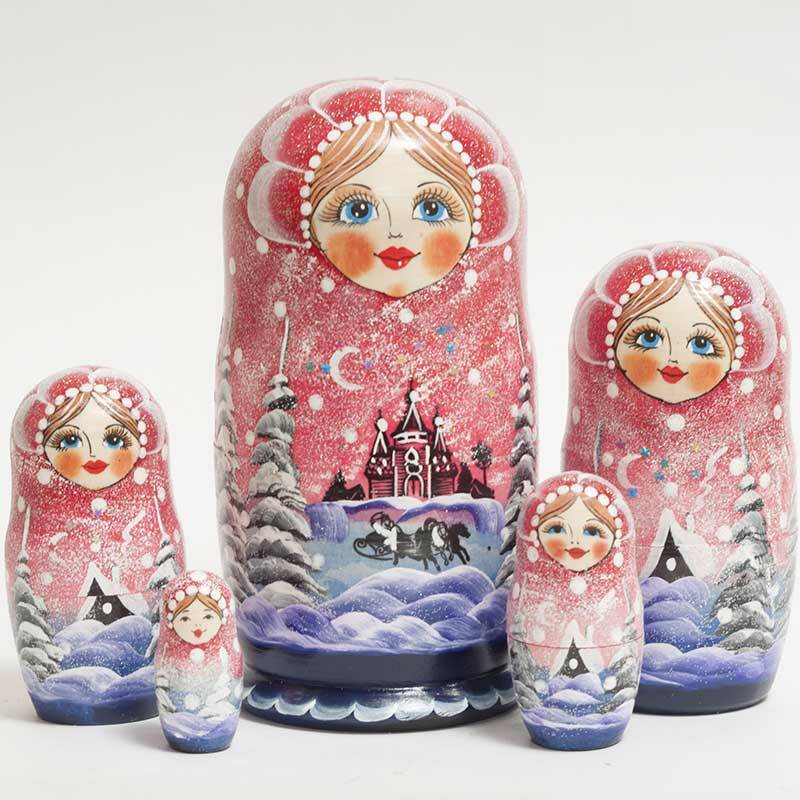 The nesting doll is finished with only one layer of lacquer ony to protect the painting.